This advertiser who claims to own Donald Trump’s Lamborghini has listed it for sale on eBay. It’s a 1997 Lamborghini Diablo VT Roadster which the 2016 US Presidential election front runner bought it brand new, back in the day. 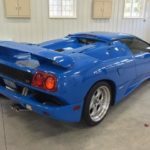 The Le Mans Blue Diablo VT is one of kind example built specifically for Trump. It even has a small plaque which reads, “Donald Trump Diablo 1997”. The interior is a dual tone affair with white leather and black surfaces. It rides of 18-inch wheels instead of the 17-inch rims that were standard on the Diablo. This being a roadster, the roof panels come off. Lamborghini offered a 5.7-liter V12 engine on the Diablo VT Roadster. Max output was 492 hp and produced 428 lb-ft of peak torque. 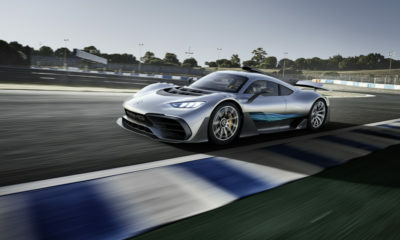 Back in the days, it was one of the fastest road cars on the market as 0-60 mph sprints were a matter of 4.0 sec. In 2016, after changing hands numerous times, Donald Trump’s Lamborghini Diablo VT Roadster has 15,277 miles on the clock. If you are interested in purchasing this piece of Donald Trump’s history, then bidding starts at $460,000.